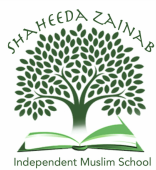 Pioneering and excellence in providing quality Islamic schooling in line with the Irish and International educational standards. Applying a comprehensive and challenging curriculum that offers educational, Quranic, spiritual, and moral growth for our children through a rich variety of teaching and learning experiences along with exciting indoor and outdoor extra-curriculum activities and games (play & learn), following the high standards of education and the guidelines and guidance of the Glorious Quran and Sunnah of our dear Prophet Muhammad (May Allah's peace and blessing be upon him. 2. Providing our children with a distinguished educational and Islamic environment and empowering them with the knowledge (ELM) and skills to make them pioneers and leaders in their future. 3. Preparing our children to be qualified Ulama (Muslim scholars), effective dayees (callers) to Islam, and skilled Hafiz (memorizers) of the Glorious Quran. 4. Applying proven startegies, modern teaching methods and procedures, and high IT means for developing and reinforcing the pupils' successful and creative learning. 5. Encouraging the parents and community engagement in achieving and carrying out the educational, religious, Quranic, and social goals and activities of the school.